Le’Veon Bell’s holdout from the Steelers, an illogical, costly and self-induced absence that’s a major misjudgment of potential market value by the player and his agent, is one of the most ludicrous in NFL history. I saw a lot of holdouts during my NFL contract negotiating days and was a party to many. But the Pittsburgh running back, whose holdout dragged on through the preseason and is now into the third week of the regular season, has done major damage to his career just in the past two weeks. For whatever reason — supposedly an unsatisfactory amount of guaranteed money — Bell in the offseason turned down a reported five-year, $70 million deal (with $33 million guaranteed) that would have made him the NFL’s highest-paid back. After the July 15 deadline for franchise-tagged players to sign long-term deals passed, Bell’s only option for this season became the one-year, $14.5 million franchise tender. I misjudged the ill-advised intentions of Bell and his agent, Adisa Bakari, who has been making inflammatory statements that Bell might wait until Week 11 to report in order to limit his exposure to injury prior to free agency and, in the process, forego $8.53 million. Bell and Bakari are living in a fantasy land if they believe the 26-year-old will make up that money in his next contract. Both the statements from the agent and Bell’s absence into the regular season say several things to NFL team owners, general managers and coaches. As a former GM and team president, I first would consider the brain cramp that is Bell giving up so much money each week. Then I’d think about the lack of commitment. As Bell frolics in Miami Beach on jet skis and in album-recording sessions, his Steelers teammates are struggling through an 0-1-1 start highlighted by diva wide receiver Antonio Brown’s truancy. Replacement running back James Conner produced Bell-like numbers in Week 1 against the Browns, but he was much less effective in last week’s loss to the Chiefs, in part because the Steelers fell behind 21-0 before Ben Roethlisberger rallied the team by air. Pittsburgh would love to have Bell and Conner as a one-two punch, but that’s not happening right now. Another problem: For a sixth-year player who has missed 14 games in his career due to injury (not to mention missed games for off-field issues), Bell’s questionable durability was already on the minds of GMs. 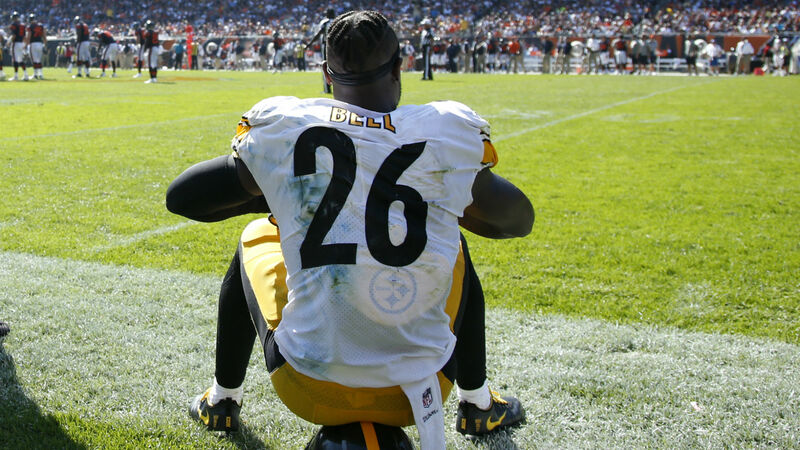 Bell’s camp only amplifies the injury factor when it talks about his staying out of harm’s way with a late-season return. Finally, I think it’s fair to ask the question: How much does this guy love the game? The biggest mistake Bell and his agent are making is not realizing his best offer as a free agent in March likely would have come from the Steelers. But it appears too much damage has been done, and Bakari’s July statement that 2018 is likely Bell’s last year in Pittsburgh almost certainly will come to fruition. Given what has transpired this year, especially over the last two weeks, it’s unlikely that Steelers owner Art Rooney and GM Kevin Colbert will franchise Bell again next year at $17.4 million. They instead are likely to let the RB depart via free agency in return for a third-round compensatory pick. That might be what Bell wants — a fresh start with a new team. He also wants to top Todd Gurley’s new deal with the Rams, a reported four-year contract at $14.375 million per year with $45 million guaranteed. But I see Bell’s market value dropping by the minute. He might have already devalued himself to the point where he could wind up with a one-year, “prove it” deal as his best option in the spring. It’s extremely rare to hear players make those types of statements about a teammate. How awkward will it be when and if Bell walks into the Steelers’ South Side facility at some point this fall? If Bell does report Nov. 13 — that’s the NFL deadline for franchise-tagged players to sign their tender and play in 2018 — keep in mind what he tweeted July 16: “To all my Steeler fans, trust me, 2018 will be my best season to date.” He’ll need to average 317 yards per game (rushing and receiving) over the last seven games in order to top his 2,215 combined yards in 2014. If I were the GM of a team not named the Steelers, I definitely would be paying attention. My antenna would have gone way up as soon as Bell missed a regular-season game. I would not consider giving big money to a player who has made a decision that looks even more bizarre today than it did two weeks ago.